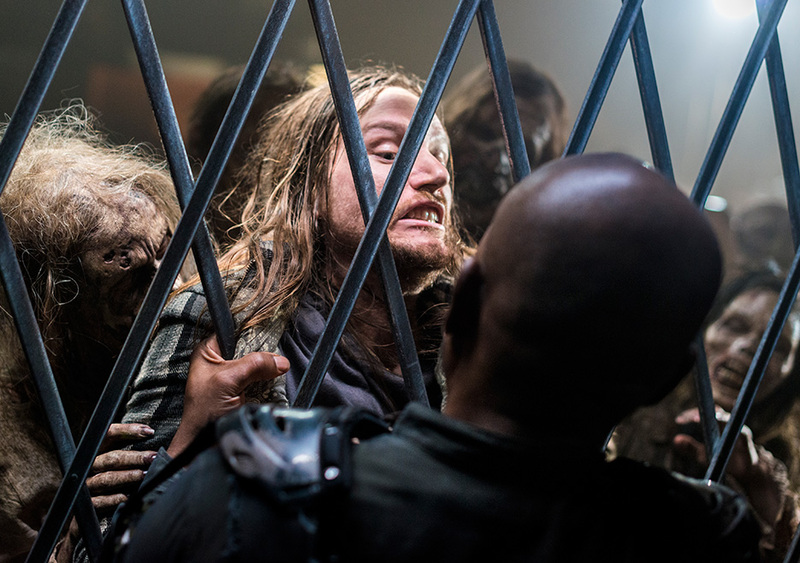 This week on The Walking Dead we finally got to see the big siege between the Saviors (now led by Simon) and the Hilltop, and it was mostly too dark to see anything. 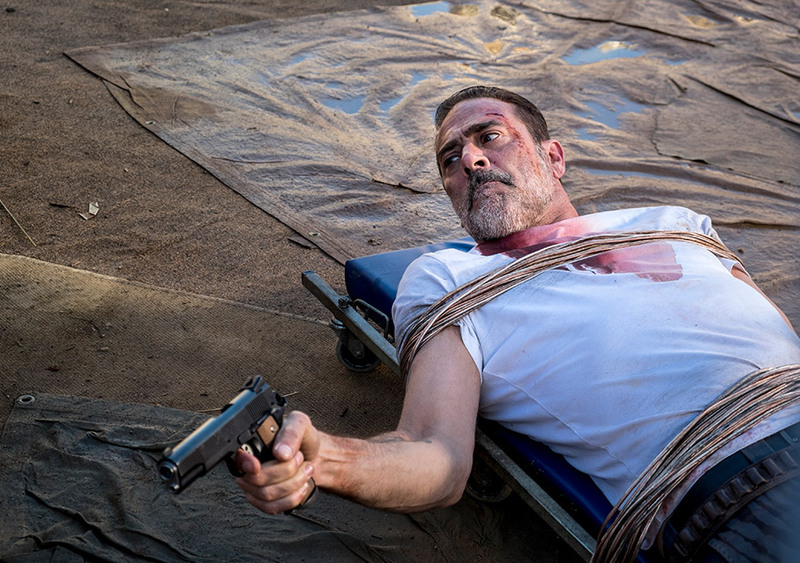 This week Rick officially returns to the Hilltop, only to immediately go off half-cocked on a last minute plan to attack Negan, further proving that he learned nothing from his son. On the flip side, Maggie begins to see the value of trusting and working with others. We saw a glimmer of this last week when she acquiesced to letting the Savior prisoners have some outside time. This week she spots an odd message just outside their walls – an offer of exchanges from a newcomer. The last two weeks have focused almost solely on Rick and Michonne, and the drama surrounding Carl’s death. This week was entirely Rick-less as we check in with the other members of our group, finally converging together at the Hilltop. 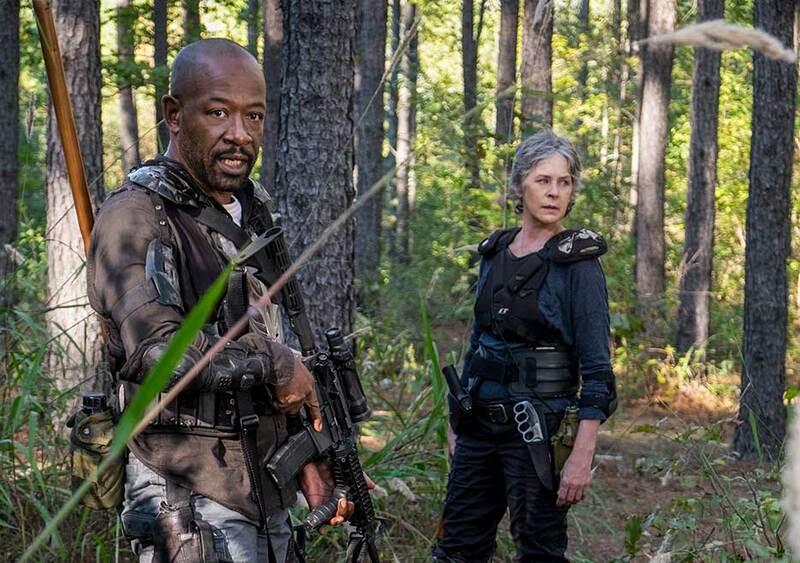 Daryl, Tara, and Rosita lead Dwight and the bulk of the displaced Alexandrians. 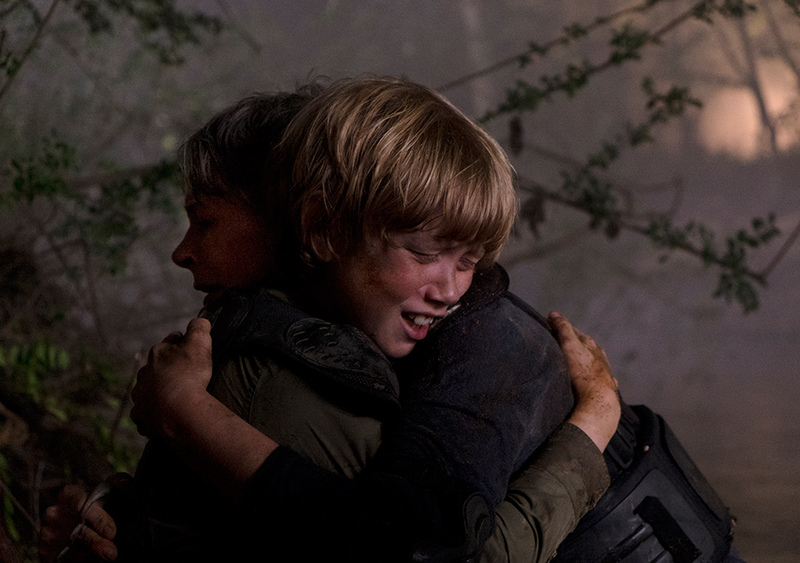 The shortest distance to reach the Hilltop is through a swamp, which Dwight warns that even Negan and the Saviors give a wide berth. If we were hoping Rick Grimes would learn some harsh lessons of humility and forgiveness from his son’s passing last week, we’ll have to keep waiting. In this week’s episode Rick is as frustratingly pissed off as ever. To make matters worse we check in with two groups we really don’t care much about: Oceanside and the Junkies, making for a very weak episode. For some reason The Walking Dead put character title cards between various storylines and situations. We’ve been constantly jumping between characters and locations for years, so doing this now just feels weird and kind of pretentious, like suddenly trying to be A Song of Ice and Fire novel. Events are told slightly out of order, but it doesn’t really make the episode any more compelling.